Newham Music and ABRSM have announced a new partnership to provide the first dedicated music teacher training course to be led by a London Music Education Hub. The Newham Music CME Centre will support careers in music education through skills development and a nationally-recognised professional qualification, the ABRSM Certificate for Music Educators. Newham Music and ABRSM are committed to making high-quality music education accessible to all children and young people. The CME programme will ensure that music educators are supported in their own skills development in order to provide the most innovative and effective music education. ABRSM will act as the validating body for the CME qualification. 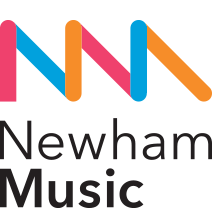 The Newham Music – ABRSM initiative has been created in partnership with Arts Council England and Creative Cultural Skills, and is designed to help support and develop the skills of music educators including instrumental and vocal teachers, classroom teachers and community musicians. It is a flexible programme with practitioners creating a portfolio of evidence based on their current teaching practice. ABRSM’s CEO Michael Elliott, explained why ABRSM is supporting Newham Music in the first year of the course delivery, and thereafter through course accreditation. “ABRSM is committed to making high-quality music education accessible to all children and young people. The Newham Music CME programme is designed to support inspiring, motivational learning of relevance to music educators at all stages of their career. We are delighted to support and validate a programme of learning that will enhance the music learning experience for children and young people”.